Immediately after turning on the computer, the processor transfers control to a basic input / output system (BIOS) recorded in permanent memory. At the end of the health check devices, it makes a sequential scan of the available drives to detect operating system loader. The first drive found with a boot loader will be referred for further management, and he will be bootable. Thus, in order to change the boot drive, is often enough to put it first in the queue, polling the BIOS. To change the boot drive you need first thing to get in the panel changes to the BIOS settings (Basic Input/Output System - basic input/output). To do this, after turning on the computer, even before the screen lines with the reports of its inspections of devices, press the Delete key (for Award BIOS) or F2 (Phoenix and AMI BIOS). Information is normally assigned to the key appears at the bottom of the screen. Depending on the manufacturer and BIOS version, the path to the desired settings, the order of polling the device may be different. 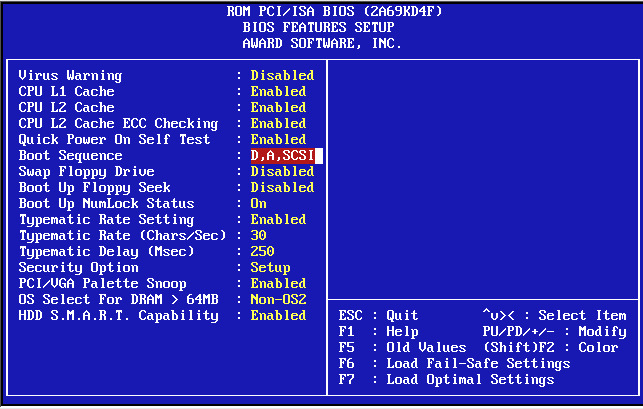 Some have to choose Advanced BIOS Features and change the setting value with the name First Boot Device (for example, 1.45 AMI BIOS, Phoenix AWARD BIOS 6.0). Others have a separate partition called Boot (for example, in AMI BIOS 2.54) and it is placed the same setting First Boot Device. In any case, the meaning and purpose of sections and variables are similar. Changing the polling order disks of your computer, you need to exit the settings panel BIOS. This is done by selecting the corresponding menu item. The question about saving the changes you have made will be set upon exit. To save the results settings it is necessary to answer in the affirmative. In some BIOS versions, there is a possibility to change the startup disk without changing the settings. To do this during the boot process press F11 (in AMI BIOS 1.45) is the corresponding hint is present in the bottom of the screen. As a result, you will be offered a menu of available boot disks, which you need to make a choice. However, this is a one time decision. So, the next time you load the BIOS to select the boot drive in the order specified in its settings. Many users install multiple operating systems. When the computer is booted, a list of the available OSes, the selection time default is 30 seconds. It is not very convenient, so you should configure grub to boot Windows. Installing two or more operating systems substantially increases the reliability of preservation of information, provides more opportunities to recover the computer in case of serious failure. But in that case, if the default doesn't load the system you need, we have to choose it manually and press Enter. However, the order download Windows can be changed easily. Open "start" - "control Panel" - "System" - "Advanced" - "startup and recovery". You will see a drop down list of operating systems and billed to their choice time. Expand the list and select the OS that should boot by default. The list usually corresponds to the menu that you see when you start the system – for example, if you need a second OS in the start list, here choose the second. Change the selection time from 30 seconds to 3. Three seconds is enough to make, if necessary, select a different operating system. You can generally clean up the startup list, removing the bird with the string "Display list of operating systems". In this case, you will boot your chosen OS. But this is not recommended, since the collapse of the system or other issues you are able to boot with the second OS. Do not remove the bird with the string "to Display recovery options when needed". Time display, leave set to 30 seconds. If you experience problems with downloading you can tap F8 and choose from the menu to select recovery. For example, "last known good configuration". Many users, in addition to Windows installed on the computer operating system Linux. Loader in this case Grub is usually at the start of the system boot menu appears, which is first Linux, then Windows. To change the order, navigate to the file /boot/grub/menu.lst and edit it, changing the name in it OS places. After this change, the default will boot Windows. The basic system input-output, or BIOS, provides the initial start of the computer. In addition, it exhibited the parameters of many devices – in particular, the user can select as the primary boot device hard disk, USB stick or CD. The need to change the default boot device is usually caused when you install Windows. If not set in the BIOS to the appropriate value, the system simply will not see at the start is inserted in the CD-ROM and the download will happen from the hard drive or, in the absence OS on it, will not occur at all. To enter the BIOS you need after you start the computer press the Del key (usually). But on a different computer than the specific key used may vary. In particular, the options are: Esc, F1, F2, F3, F10. In some cases, the use of shortcuts such as: Ctrl+Alt+Esc, Ctrl+Alt+Ins, Ctrl+Alt+Del, Fn+F1. When the computer starts at the bottom of the screen you may receive a prompt for example, Press Del to enter setup. If you successfully enter the BIOS you will see a blue or gray box. After this you need to find the line responsible for the selection of the boot device. Since the BIOSes on different machines differ, specify the exact location of this line difficult. So just browse the tabs, you need to find the rows First boot and Second boot – that is the primary boot device and secondary. Next to the First boot displays the current boot device. You can change listed at the bottom of the BIOS keys. Typically, the modification values in the BIOS, the arrow keys (up and down) or Pg Up and Pg Down. Selecting from the list using the keys of the desired boot device, save the changes. To do this, press F10 and select from the appeared window to choose Yes or type Y and press Enter. Usually as the primary boot device, put hard disk. When you install Windows it is necessary in BIOS to set loading from CD, but immediately after the first automatic reboot is necessary again to return in the BIOS to boot from your hard disk. Many computers have a convenient option of choosing the boot menu, invoked after you start the computer by pressing F8 or F12. How to reinstall or restore the operating system, testing and treatment computer from viruses or downloading a special program from the CD/DVD drive requires you to configure the boot order in the basic program of the computer (BIOS). 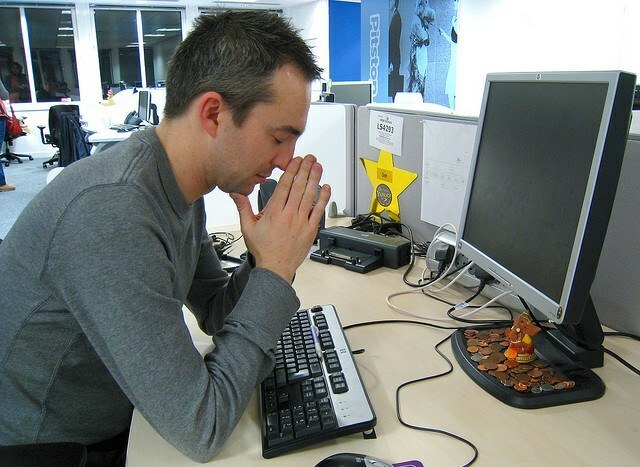 Most computers after you configure operating system set to boot in the first place, with the main hard drive. This is done deliberately because the user can leave CD/DVD in the drive or disconnect the USB flash drive that can cause you to attempt to boot from the removable media. But if you need to boot from the optical drive, you must change the BIOS settings. To enter BIOS, when the computer starts you have to press a hotkey in a strictly defined time frame. The most common case is the use of Delete, a few at least F2, but can be others. In any case, the system at startup for a few seconds shows a set of hotkeys, where you can learn what you need to press. Most PCs have a standard BIOS, which is controlled only with the keyboard. But new computers already come with a graphic interface basic programs (UEFI BIOS), where in addition to the keyboard to use the mouse. In General, the configuration of both versions is similar, and varies only in the office. Steps are slightly different depending on the manufacturer (indicated in the top row). In the Award BIOS go to Advanced BIOS Features and after that in the paragraph First boot device select CD-ROM (please use the Enter key, and a list will appear). After selection, press Esc, select Save & Exit Setup and then press Y. In AMI BIOS, go to Boot, then to Boot Device Priority, after subsection 1st Boot Device set to your optical drive (displayed model). Then will come under the Boot, press Esc and go to Exit. Select Ext & Save Changes and press Enter. In Phoenix Bios, open the Advanced submenu, and then, under First boot device select CD-ROM (please use the Enter key, after which pressing a list will appear). Then press Esc and go to Exit. Next, select Save & Exit Setup and then press Y. 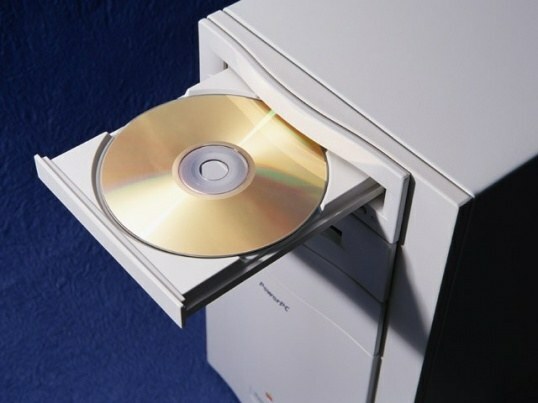 After performing the steps above, your computer will always be trying to boot from the optical media. If the disk device is missing, loading will be made in the usual manner, that is, settings can not be changed. In the case of a one-time need boot from CD/DVD most of the PC at startup to choose to boot from a different drive, concerning set in the settings. To do this, at startup you should press F8 or F12 (displayed when you start the system in the list of hotkeys).